Hi everyone! We are heading towards the final seeding for fall harvest and everything is looking good. Yesterday it poured rain all around Amador Hill. We would have loved a deep rain shower which I was hoping for yesterday, as I was driving on the edge of the Wisconsin border where there was hail and a torrential down pour. 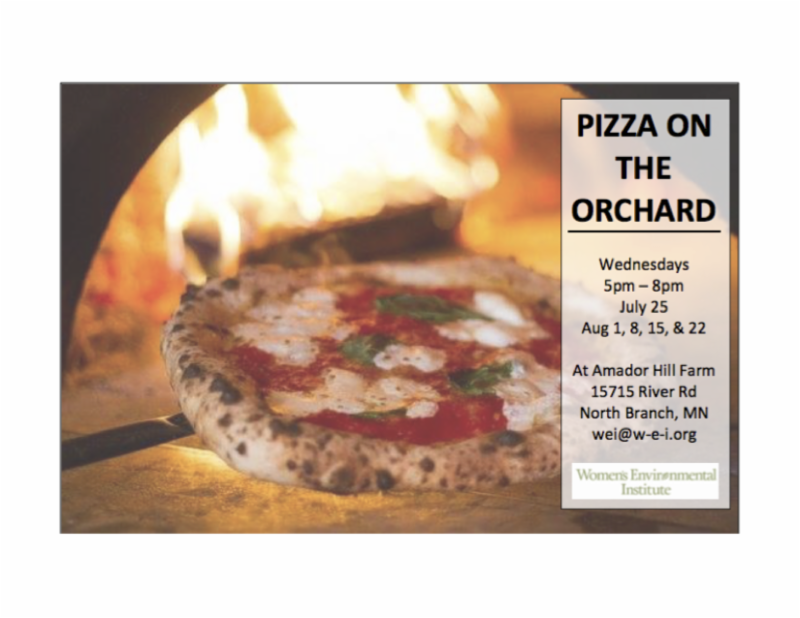 Happiness is always doubled: we had no hail (only brief showers) and a great first Pizza on the Orchard evening at the farm.. We will be holding Pizza on the Orchard every Wednesday evening (5:00-8:00) in August. 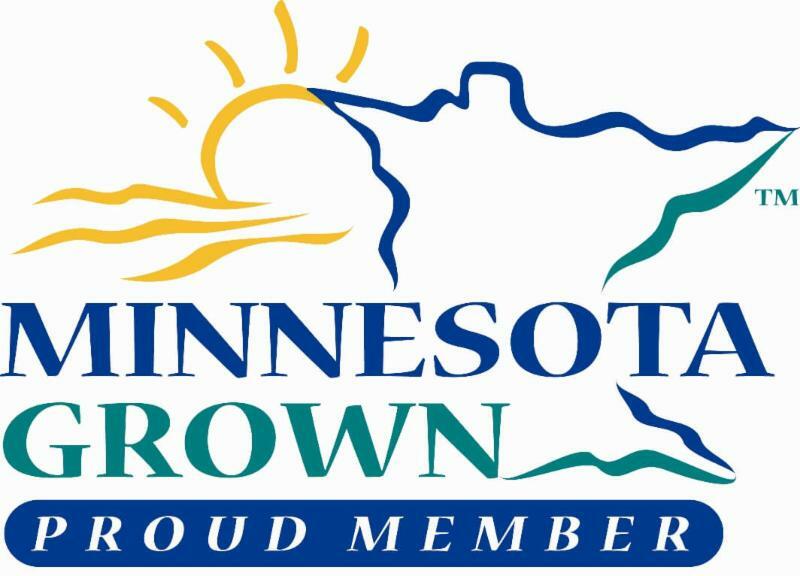 I hope to see some of you here. This week we included watercress and green apples. We would be interested in knowing how you prepared and consumed the watercress. 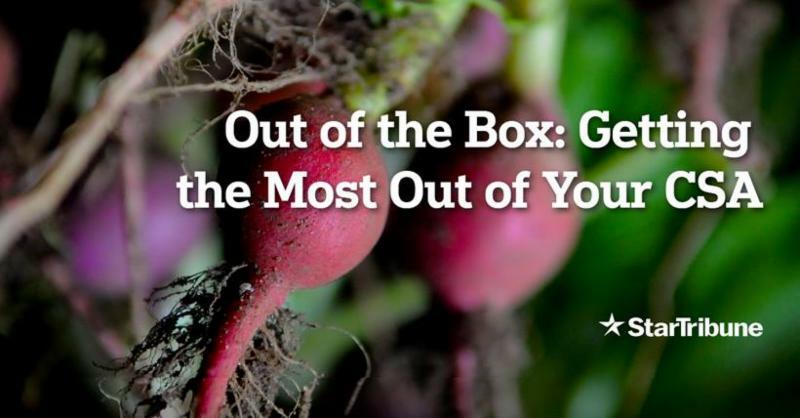 It has an unusual bite to it, but there are many ways to enjoy this vegetable. The green apples are part of early fall orchard care --culling the apples-- to lessen the load our well pollinated trees. 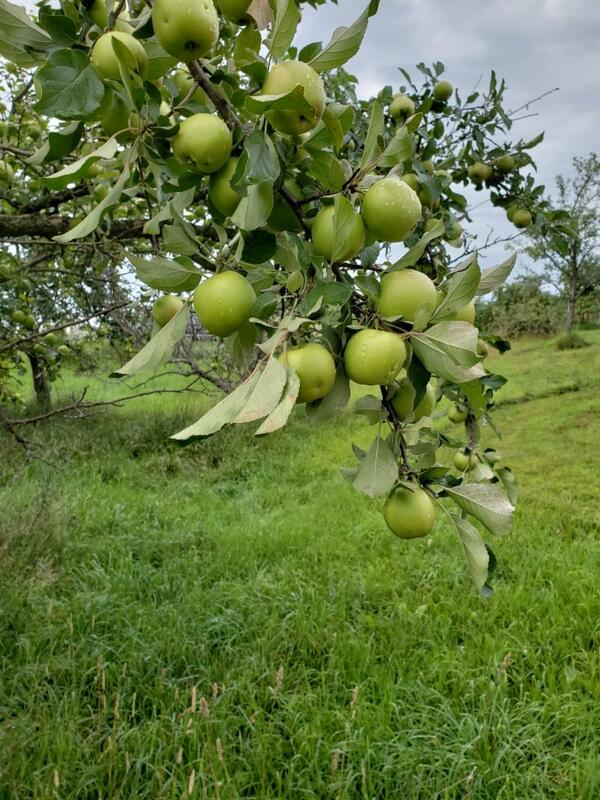 Gandi Mahal will be making chutney from our green apples. Many ways to help the apple trees! By the way, we are entering our honey into the State Fair. 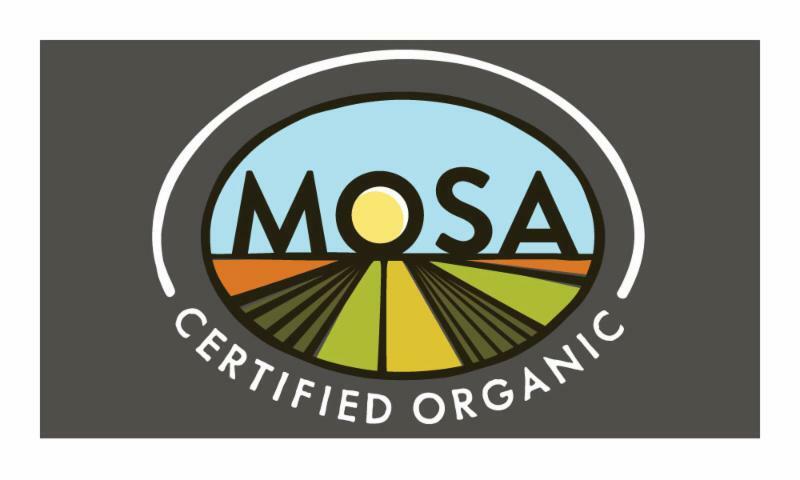 Last year we won a 3rd place ribbon for dark honey. Wish us luck. T hank you for returning your boxes. 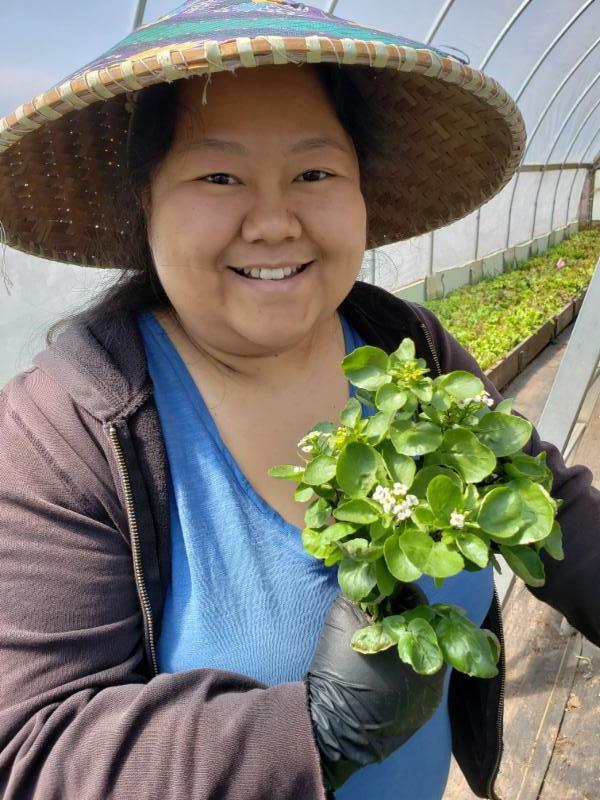 Shoua Lee, North Circle farmer who shares space on our Amador HIll farm, shares her three minute dish. Cut watercress into 2"or 4" pieces or cook whole. Sauté garlic in oil or butter. Add watercress to the sauté and cook until wilted, about 3 minutes. Add to rice. Enjoy. 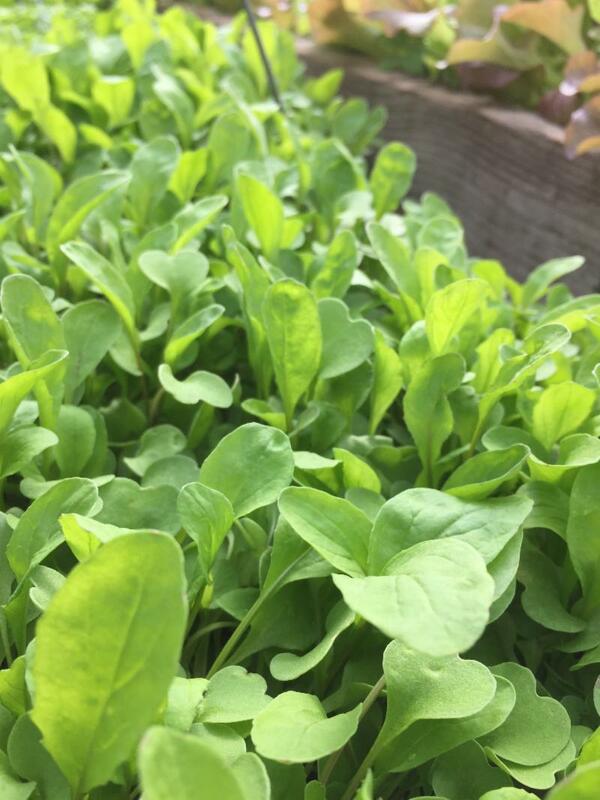 Arugula is light in texture but powerful in flavor! Peppery and aromatic, use it to top a salad or sandwich. Toss arugula in just a bit of lemon juice and finely ground sea salt and serve on top of a grilled pizza after cooking. Warm Potato Salad with Arugula Recipe . Superfood Alert: A nutritious cruciferous! Vitamin A and K are abundant as well as and potassium and calcium. 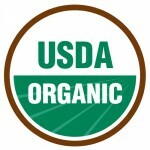 This dainty leaf is known to benefit heart, bone, and eye health and for it's antioxidant properties. Storage: Refrigerate in a partially sealed bag, unwashed with a paper towel for 2-3 days. A member of the brassica family, has a mustard like flavor. These peppery leaves & flowers present beautifully in a bowl aside a good salad. For heat tolerant eaters, use a whole handful; for more delicate pallets, just shred a couple of leaves and mix to your taste. 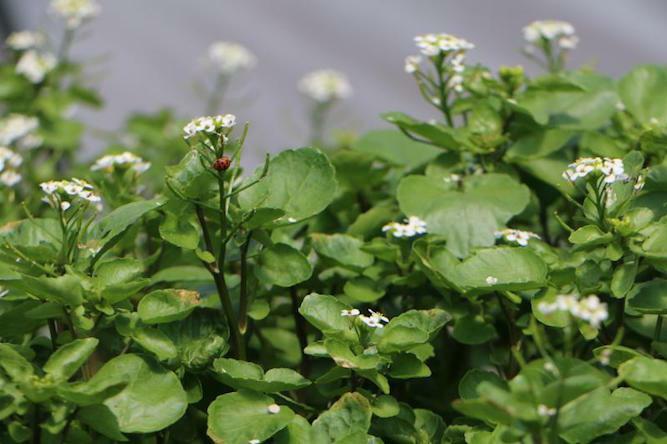 Find suggestions for using Watercress in our Farm Share Recipes & Tips section below. Superfood Alert: Contains plenty of vitamins A, C, K and E! It is believed to have been used in ancient Greece for its abundant medicinal properties. Just Google Watercress and you'll be hooked on this amazing superfood. Storage: Arrange in boquet and cut stems, place in water. Very fragile veggie. Culled apples are the immature apples picked early in the season to thin the harvest, which allows the rest of the tree’s apples to grow larger and healthier. This is a difficult time for most orchardists, deciding which apples to remove and which to allow to mature. Harvesting these baby green apples offers unique cooking opportunities, so sour and so crisp, they make wonderful slaws, sauces or chutneys. If you like a good tart crab apple, you’ll love WEI’s baby green apples for snacking or as a topping to your morning hot cereal. See Poached Green Apple recipe below. Storage: Store in your vegetable drawer of the refrigerator. Enjoy the first cabbage of the season, young, crisp, slightly sweet. 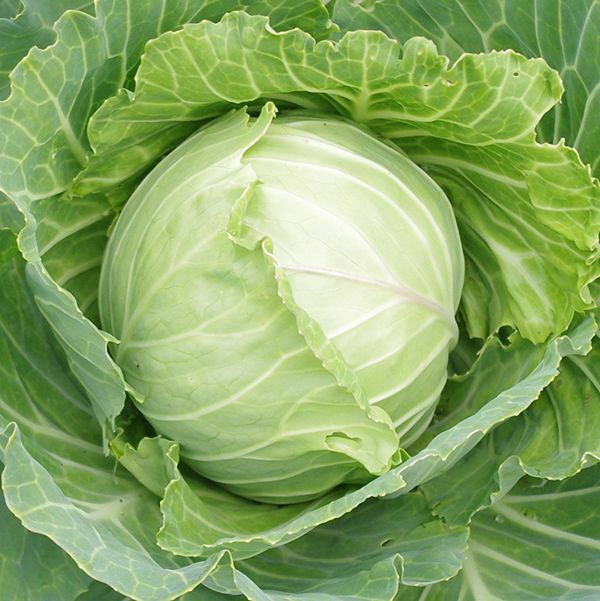 This early cabbage is very good for slaws or try grilled cabbage steaks! *Our Green Baby Apples are a nice addition to any cabbage slaw recipe, just slice them thin and toss into the mix! Storage: Refrigerate unwashed in the crisper drawer for over a week. Once cut, store refrigerated in plastic. If you shred your cabbage, you can wash it and store in a sealed plastic bag for over a week - just taking out what you need each day. 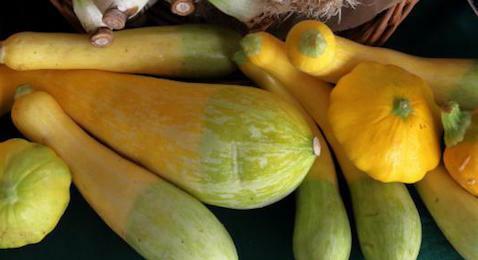 This week we offer a medley of summer squash, randomly distributed between boxes. Yellow summer squash, green and yellow zucchini and some Patty Pans. Zucchini Hummus Recipe - use any of the summer squash varieties for this recipe. Storage: Refrigerate cucumbers in the crisper drawer wrapped in plastic for about a week and summer squash / zucchini for about ten - fourteen days. Loving your cucumbers? 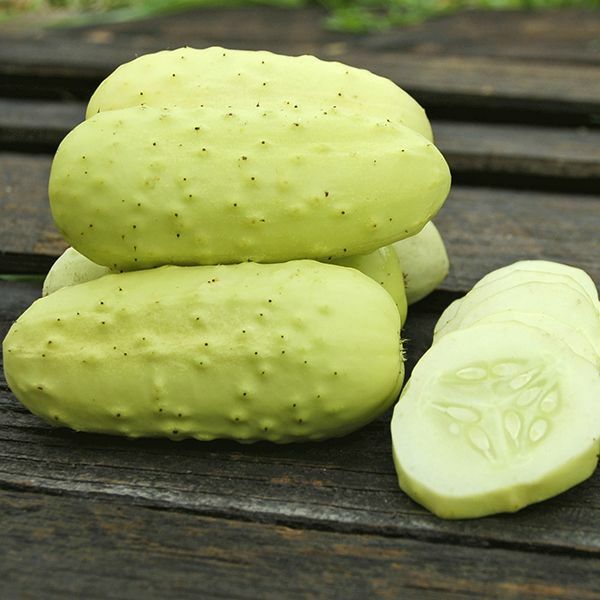 This week you’ll find Boothy Blonde, a lovely compact pale cucumber with an tangy taste and very juicy meat! 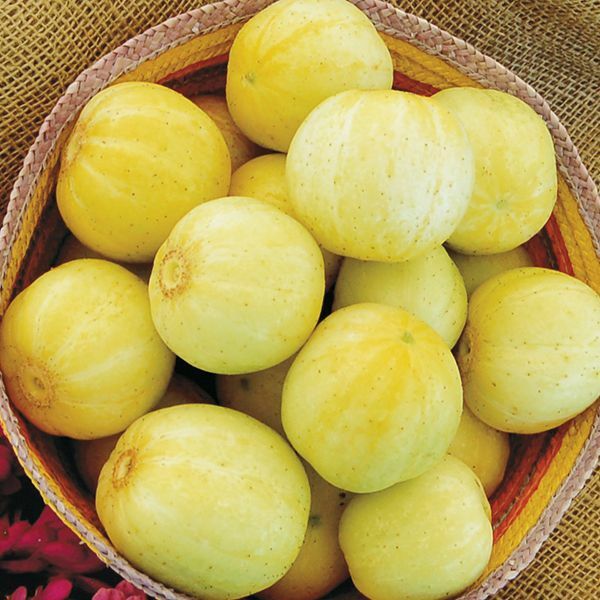 You’ll also find Lemon Cucumber – a round, thick skinned cucumber that looks much like a lemon. Marketmore is an excellent standard slicer. Try serving an array of sliced cucumbers on a platter with zucchini hummus for dipping. 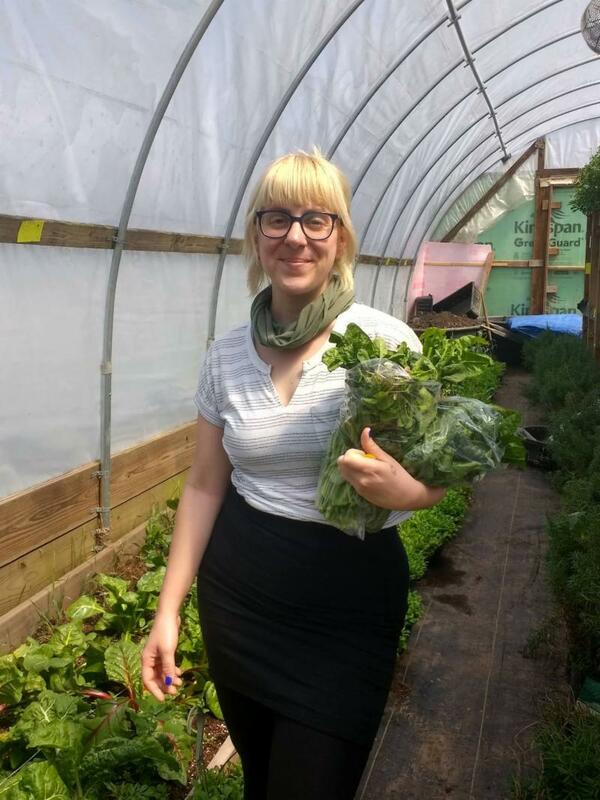 See Lauren's recommendations for quick refrigerator pickling ideas! Storage: Refrigerate c ucumbers in the crisper drawer wrapped in plastic for about a week. 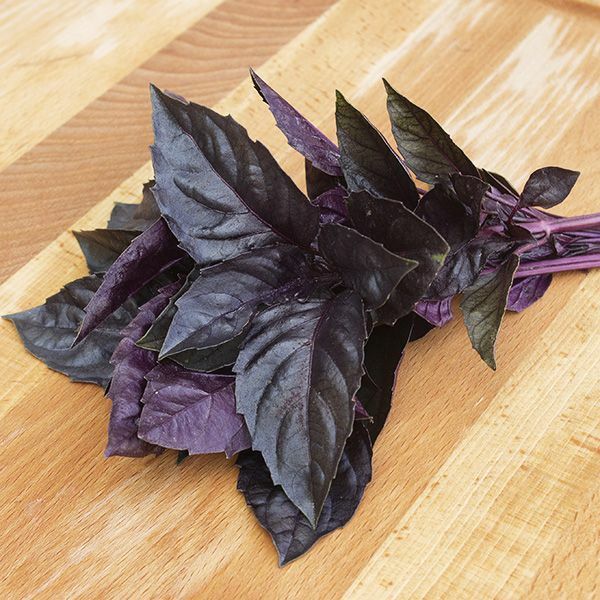 Dark Opal Basil is a beautiful and strong flavored basil variety. Use as you would with any basil recipe, be sure to save some for a garnish, their leaves add a dramatic touch of color and aroma to your plate. Storage: Tim the ends and place in a jar of water on the counter. Cut off leaves as you need them. -Blend wine, honey, and spices and bring to a gentle simmer in a small saucepan. Add orange zest to liquid, lay apples in a single layer in the pan (apples should sitting in at least an inch or two of liquid) and cook covered over very low heat for 20 - 30 minutes, depending on your preferred consistency. Remove the apples with a slotted spoon and let cool before serving. Continue cooking the liquid over medium low heat, until the liquid is reduced down to a nice thick sauce. Serve apples as a side dish with a nice grilled dinner, chill the apples to serve with salad. Use your poached apples as a desert over ice cream drizzled with the reduction sauce. It has gotten to the point of the summer where I don’t even want to look inside my kitchen and instead just want to ride my bike and swim in lakes. My recommendation this week is to make a bunch of pickle brine and pour it over a bunch of cut vegetables. Slice radishes thin and add black peppercorns and coriander seeds. Cucumbers are great with sichuan peppercorns or lots of red chile flakes. Maybe try a cut up green apple with some fennel seeds? For an easy meal, you can just make a batch of sticky rice in the rice cooker and then plop a bunch of cold pickles on top, a clump of fresh watercress and a poached or fried egg if you’re feeling especially motivated. The pickle brine recipe comes from the Momofuku cookbook and uses rice vinegar, which in my staple vinegar as it is mellow and gets along with all flavors. This recipe also doesn’t require the use of a stove, you can just heat up water in an electric kettle. Chop all the vegetables you will be pickling and pack into quart mason jars along with desired spices (whole spices prefered over ground). Combine all the brine ingredients until the sugar and salt dissolve. Pour into the jars, cover and refrigerate. The pickles will be ready to eat in four days. They will keep in the fridge up to a month.